The steady and exponential growth of the internally-generated revenue of Lagos state since the return of democracy in 1999 is proof that courage will always triumph over adversary and order can conquer daunting chaos. This is provided there are men of proper competence, undeniable will and indefectible optimism focused on achieving one goal. If these people are led from the front by someone of deep vision and industry, there is hardly anything such a team cannot achieve. The story of Lagos state becoming the only economically viable state in the nation despite its small land mass and absence of natural resources has many diverse versions. However, the common denominator in various debates remain the players that actualised and have sustained the dream. They are the Visioneer Supremo himself and National Leader of the APC, Former Governor Asiwaju Bola Tinubu; the Legal Genius, Former Attorney General of Lagos State, Vice President Professor Yemi Osinbajo; and the Actualiser, Babatunde Fowler. The first two have gone on to leave their mark on the nation, using their gifts to positively impact the polity; the last man recently got the golden call to head the Federal Inland Revenue Service (FIRS). Analysts believe the leap in tax collections from about N15 billion in 1999 to well over half a trillion in 2014 stood on a tripod of factors: a) The strategic catalyst and vicarious desire of Bola Tinubu to see Lagos become the Centre of Excellence and independent of federal government funding; 2) The legal framework constructed by Prof. Osinbajo to give the dream a foundation to stand on; and Fowler’s incredible engine, dexterity and professionalism to bring it all to life. From the moment he was appointed the pioneer Permanent Secretary/Executive Chairman of the Lagos State Board of Internal Revenue on the 24th of November 2005, Fowler immediately took on the massive responsibility of deploying all legal means at his disposal to collect revenue on behalf of the Lagos State Government. The January 2006 passage of the Lagos State Revenue Administration Law gave the Board of Internal Revenue its autonomy and Fowler was appointed the ‘Czar of Revenue Collection’, combining the roles of Chief Executive Officer of the Lagos State Internal Revenue Service and Executive Chairman of the Lagos State Board of Internal Revenue. Backed by law and provided with adequate funds to set the ball rolling, Fowler took the challenge of increasing the internally-generated revenue of the state head on. The multiple of problems he had to overcome included a system that was highly suspect; one that people had no confidence government would put the revenue paid to proper use. Nigerians had been dealt a bad hand by its leaders, who plundered our oil wealth and made a mockery of the laws that should protect our commonwealth. How was Fowler going to convince the legendarily headstrong Lagosians to willingly part with their hard-earned money for tax? How was he going to get the backing of the people to achieve more revenue for the state? How was he going to ensure the process was transparent and bankable? 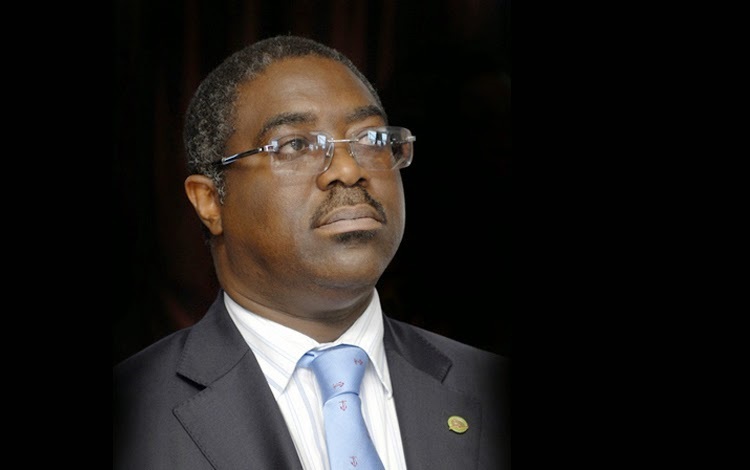 The new FIRS boss adopted measures that made sure the low-hanging fruits were quickly achieved by fully implementing the use of e-TCC (electronic tax clearance certificate), which immediately helped to block leakages. He then went on to earn the trust of the public and got Lagosians to back the drive to increase the money in the state’s purse. This he achieved by making the job of revenue collection fashionable. The young men and women that work the tax services end of the agency are trained to be professional at all times. Due attention was paid to maximise the use of Information Technology and other modern methods of tax administration. Clearly, the tested and trusted model that has worked so well for Lagos state is what Fowler would have to deploy for the country. He would have to work assiduously to gain the trust of a disillusioned public and patiently educate Nigerians on the national pride and sense of belonging that comes with contributing to the progress of a nation by paying taxes. He must convince the government on the need to invest massively in re-orientation while pushing for tax reforms that will help the nation grow revenue and be less dependent on oil. President Muhammadu Buhari must be proud of this particular appointment. He could not have picked a better person for the job. Fowler has been an advocate for a better national tax administration for many years. He has embraced the riches of technology and knows the ways to use the benefits for the greater good. Plus, he has the right experience to carry on from where Samuel Odugbesan – the man he is replacing – stopped. Nigerians must congratulate the President for getting his man. There is so much merit in this one. If 60 per cent of the President’s appointments are as competent and fit-for-purpose as Fowler, most Nigerians would love the President for taking his time to pick his team.